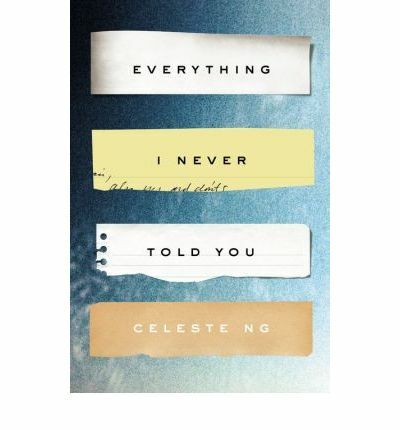 Our book group choice for February was one I’d heard a lot of buzz about in the year past, Celeste Ng’s Everything I Never Told You. I didn’t know much about the premise before I started but it’s one of those books that as soon as you start, you get that feeling, you know that it’s one that is going to stay with you. And I was right. Everything I Never Told You is a tale of an ordinary family with just one difference; theirs is a mixed-race Chinese American family, the only one in their town. In a small college town in middle America, this one difference will simultaneously change and shape everyone and everything that happens to them. It is 1977 and 16 year old Lydia Lee has gone missing from her bed. Her parents James and Marilyn are trying to piece together the events of the days just before her disappearance, while her brother and sister, Nathan and Hannah, are not sure whether they should share the secrets so sacrosanct amongst siblings. When Lydia’s body is found in the nearby lake, their family life splinters as all they have believed in for so long is torn apart. Who was Lydia? And what happened to her? What Ng is so adept at doing is teasing out the secrets and hidden yearnings of her characters. Like any family that looks outwardly normal, there will always be dreams that have been crushed and silenced, the reality often harsh and unforgiving. And it is no different here. James Lee is a tenured professor at a small college after his dreams of staying on at Harvard is so easily taken away from him. The son of Chinese immigrants who took jobs as a gardener and cook at a prestigious school to give their son the opportunity to secure a place to study there if he is bright enough, James only yearns for a normal American life and to fit in. And he finds this in Marilyn, who has never wanted to be pedestrian but who puts on hold her dream of becoming a doctor, to marry the man she unexpectedly falls in love with. They are so in love with each other, yearning to leave behind their unhappy childhoods that they do not see their past shaping the future of their three children, heavy with so much expectation and stifling with love. When Marilyn, unable to let go of her dream of becoming a doctor, runs away to finish her degree, this acts as a catalyst and irrevocably changes the family dynamic. Ng’s subtle manipulation of the shifting dynamics within the Lee family is so masterfully done that it is only as you read on that it slowly dawns on you what has happened. The silent pressure on Lydia to achieve high grades in science so that she can fulfill her mother’s dream of becoming a doctor. The silent fear she has that if she doesn’t comply, her mother will leave her again. How Nath’s heart breaks a little every time his father sees a bit of himself in his son and looks disappointed. And Hannah, the youngest, always forgotten, learning not to be in the way. As the children grow and begin to chafe under the yoke of their parents expectations, their usually strong sibling ties fracture and they rebel. Nath will apply to Harvard, the only way to get his father to acknowledge his worth and as Lydia’s grades decline, she starts spending more time with Jack, their neighbour and Nath’s childhood enemy, to punish him. Each character deals with their hurt, humiliation and anger in such different ways, trying to push away and yet always returning because they are family. It is difficult to imagine the isolation and the segregation James and his children experience, the racism that is never fully overt and yet of which they are hyper-aware but Ng does this gently but with devastating effect. The disapproval of Marilyn’s mother which Marilyn so casually brushes aside but which pierces James’ heart at their wedding. The swallowed dreams, the claustrophobia of a small homogenous town, a child’s future that has been mapped out in concrete. It’s all there. Ng manages to weave all the different strands of each character’s story, in and out from the past to the present without leaving the current nightmare of Lydia’s demise. And as each layer is peeled back, and you glimpse the anger, regret and hurt that has been experienced and suppressed, it is almost a miracle that each of them can survive the fallout of a loved one’s death. However sad Everything I Never Told You is, Ng has created a novel of such tenderness. 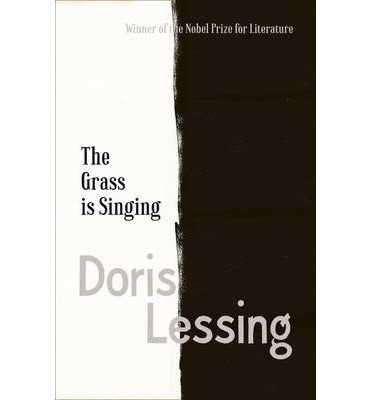 Her writing is gorgeous and yet spare but it reaches an emotional depth and complexity that you rarely find. It’s a beautiful book and probably one of the best I’ve read so far this year. 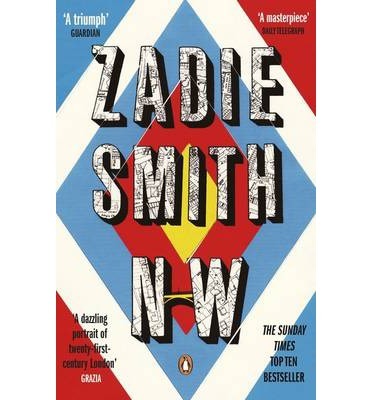 It’s been almost 15 years since Zadie Smith’s White Teeth blew her onto the literary scene as a major star-in-making. I’ve only read her debut and some of her short stories and essays, her observations and detailed commentary belying her tender years but there’s something so assured and sassy about her point of view and style, a mixture of the postmodern with traditional literature which just works. Reading NW, a grittier take on her depiction of northwest London, a dampening of youthful hope reminded me a lot of her peer, David Mitchell. 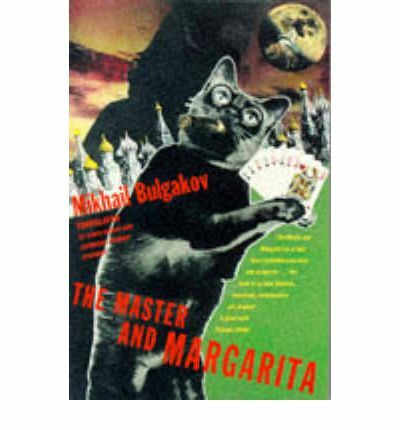 Both have easy styles which belie their literary mastery. You know you are in the hands of true writer. NW follows the almost mid-life crises of two best friends from the Caldwell Estate in Willesden, Leah Hanwell of Irish and Keisha Blake of Jamaican descent. It is a strong female friendship bound by memories and an understanding both don’t fully comprehend, surviving different ideologies, work ethic and interests. And like all friendships, it weathers choosing different career paths, lovers, marriage and babies. We start with Leah, working for a charity, married to the man she loves but not wanting his babies. She sees her life drifting by, aimless, living just metres away from Caldwell Estate from which her mother Pauline so desperately tried to get away. They have escaped but not quite. And so she compares herself to Keisha, or Natalie, as she’s now known, a successful barrister married to an investment banker with two beautiful kids. She has penetrated far enough into the upper middle classes from Caldwell for even Leah to feel she no longer knows her friend. And yet there is a terrible ennui from which the two just can’t seem to escape. For Natalie, Leah is the one tumbling from one adventure into another, from her friends spouting philosophy to activism and the ubiquitous dreads. For Leah, Natalie has always focused on moving forward and making something of herself, stoic and resolute. And then there is Felix, thirty-something and finally taking the first steps towards turning his life around: a new relationship, the ‘One’. And poor Nathan, unable to claw his way out of the sink estate, destined to be the one lurking around the same old streets, his acquaintances keeping a wary distance. Smith’s rendering of northwest London with its multicultural mix of peoples and lives is deftly done. Not much happens, what does is a slow lurch, seemingly unstoppable, of the fracturing of these thirty-somethings’ lives. Is this what it’s all about, seems to be the refrain running through this novel. It seems as though all the characters are caught by surprise at what life has in store for them, unable to grasp the happiness which is supposed to be within their reach. For both Leah and Keisha, their imposter syndrome is drowning out their current happiness, their families unable to understand them. Overall, one wouldn’t label this a feelgood novel. There is a bittersweet inevitability to what happens to the characters even though you want to shake them by the shoulders and desperately slap them back to reality. But Smith subtly inserts moments of comedy and ordinariness which remind you of the absurdities of childhood and adolescence, the innocence and simplicity which we all seem to lose along the way. I can’t say I sympathised or even understood what these characters are going through, especially Keisha, and yet there is something about Smith’s writing that keeps you glued to the page. She writes beautifully and there is an immediacy, a relevance to her work that is rooted in the present. It’s a portrait of modern urban Britain, one that isn’t often portrayed in a lot of contemporary fiction, and because of this, it is refreshing. Many in my reading group had issues with NW and I can see why. The novel is described as being about four friends but it’s really about Leah and Keisha. Felix and Nathan’s stories seem incidental although it does tie together a pretty loose arc. And it’s not a particularly easy read. However, I really enjoyed it, especially the scenes with Felix’ much older ex-lover in what reminded me of a Soho championed by Rupert Everett. And Smith’s writing is also a delight. So I now want to read The Autograph Book and On Beauty. Do also check out out Kim’s review. 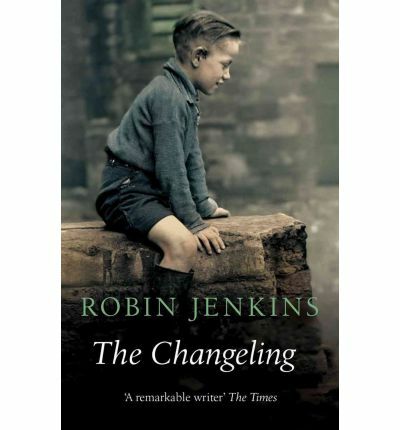 Robin Jenkins’ novel, The Changeling, about a poor young boy from a Glasgow slum who is whisked away on a family holiday by his well-meaning but ultimately naïve teacher, is a startling account of the fallible and arrogant nature of altruism and superiority gone wrong. Jenkins uses the character of Charlie Forbes and his do-gooding cloaked in good intentions and shortsightedness to show in sharp relief the desperate nature of a child born into poverty who possesses an uncanny intellect, survival skills and self-assuredness who comes to realise that there is no escape from his situation. Donaldson’s Court, a slum in 50s Glasgow, is a wretched place reminiscent of Dickens’ Victorian London at its worst. Forbes’ well meaning belief born out of pity that two weeks on holiday with his family will bring some relief to Tom Curdie’s miserable existence is naïve at best and cruel at worst and so arrogant and misplace that he doesn’t realise this may have an adverse affect on his pupil, giving him false hope for a brighter future, something Tom realises early on and tries so hard to prevent. And yet, he is a child of twelve, starved of kindness, affection and stability, that a week away with a normal family irrevocably changes him and plunges him into further despair. And little does Forbes or the other adults realise this; so wrapped up in their petty drama of being fair and moral and trying to keep their indignation at bay that they are prepared to strike immediately if Tom goes out of line. Everywhere in Towellan, in the garden among the rose-bushes, in the hut at night listening to the owl, on the lawn putting, even in the ruined castle with the sick rabbit, he was becoming convinced that this was the way of life he had always known and always would know; that at the end of the holiday he would return with the rest of the family, and would for the rest of his life be involved in their affairs as he was now; and that he would always have a bed to himself with clean sheet, and plenty of good food served on a table with a white cloth. It is only Gillian, Forbes’ daughter who sees Tom for who he really is. At first suspicious of Tom’s motives in inveigling into her family, she is determined to expose him for the thief she knows him to be. And yet there is something about Tom which calls to her and she soon becomes the only one to see the tragic unfurling of Tom’s tightly held grasp on his emotions, something he has always hidden from everyone. Expressed like that, almost angrily as if she was again accusing him, it was very far from saying what was in her heart to say. She felt not only pity and love for him in his terrible predicament, but also complicity with him. There was no way of explaining that. Nevertheless he seemed to understand, and smiled with a gratitude she could not bear. Jenkins’ storytelling is sparse, he draws the well-argued and dramatic emotions of the Forbes family with flair in sharp contrast to the controlled, spartan stance of Tom’s character. Forbes is poorly trained to deal with the invisible complex emotions swirling within his pupil and ultimately fails as a mentor and person. What starts as a silly, thoughtless whim quickly escalates into tragic proportions. The Changeling is a tragic tale devoid of sentimentality. A beautifully drawn portrait of quiet suffering. Tom’s streetwise knowledge cannot help him against such mishandled naïveté. Inevitable yet heartbreaking. The difference between you and me, Charlie, is this: if I passed a blind beggar with a tinny I’d drop in a couple of coppers and pass on, without giving him another thought but you’d be so damned indignant at such public misery and so busy blaming everybody else for it that you’d pass by without putting anything in at all. I confess I’ve only read one book by Goethe which was Faust because who didn’t try that one as a student? But I don’t remember much of it and I probably raced through it without really thinking about it much. So although I’ve been wanting to try more of Goethe’s novels, I only retain memories of something dark and heavy. So what a revelation Elective Affinities turned out to be. Chosen as my October/November’s book group read, the novel showcased Goethe’s lightness of touch and acute sensibilities which are so finely tuned that you really feel you are in the presence of a master. What could so easily have turned into a heavy, dank romantic tragedy was saved by the relentless self questioning of his characters and their wish to do the right thing. Elective Affinities begins with Charlotte and Eduard who has been given a second chance at love. No longer in their first flush of youth and having overcome previous life events that were orchestrated by others, they are now happily enjoying the freedom of their simple coupledom. Charlotte’s daughter is away at school and so they spend their days organising and designing their house and land at their pleasure. In fact all their time is taken with pleasure. Happy but getting a little bored of their monotonous life, a visit from a scandalous aristocratic couple embeds ideas of love and affairs which slowly take root in their minds. Their fidelity is tested when Eduard’s close friend, the Captain, and Charlotte’s niece, Ottilie who is unhappy at school, come to stay. Goethe melds his views on romanticism with the scientific ideals and advances from the Age of Enlightenment that was fashionable in 19th century Europe to create a story which mirrors science. Elective affinities, a concept in chemistry where elements naturally gravitate towards their optimal counterpart, is used here to illustrate the romantic leanings of the four main characters. Eduard, a dynamic man, begins to feel an affinity for Ottilie who is equally smitten, and succumbs to temptation, albeit platonic. However Charlotte and the Captain are a bit more reserved, battling with their morals even though their feelings for each other are as fierce. The main focus of the novel is the love affair between Eduard and Ottilie, a reflection and dissection of the ideals and reality of what love is. However there were a few things that perplexed me. For example, why did everyone love Ottilie so much? Because she is young and innocent? Eduard who is actually married sees nothing wrong in his feelings and nor does Ottilie until towards the end of the tale. Only Charlotte and the Captain seem commendable but Goethe seems more sympathetic towards Eduard and Ottilie as though he holds them much higher up as his romantic ideal, that theirs is the great love story with so many obstacles when in fact they could have really gotten together at any point. Ottilie’s refusal of Eduard doesn’t seem to have a moral aspect to it, more as a whim and feels self-indulgent. And personally I felt Eduard comes very close to being the villain of the piece, acting as though his marriage to Charlotte meant nothing. It seems as though he was going through a mid-life crisis and as a result I found it very difficult to sympathise with him. In fact, all the characters felt a little flat, especially the female characters, except for Charlotte’s aristocratic friends who revel in their scandalous lives. At least they don’t pretend to be good. 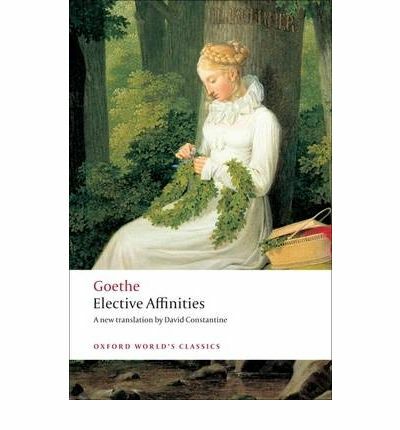 And although there are tragic consequences to the choices these characters make, Goethe’s light touch stops short of making Elective Affinities a tragedy or even a moral tale, leaving the reader feeling rather confused. It’s been several weeks since I’ve finished the book but I’m still wondering about the characters in Elective Affinities, especially Ottilie and Eduard. I wonder whether Goethe was drawing a parallel to himself and his own choices in life. However, the novella certainly made for an interesting discussion and I most certainly would like to read more by Goethe. I read this as part of German Literature Month hosted by Caroline and Lizzy.